We had unexpected summer showers that day. 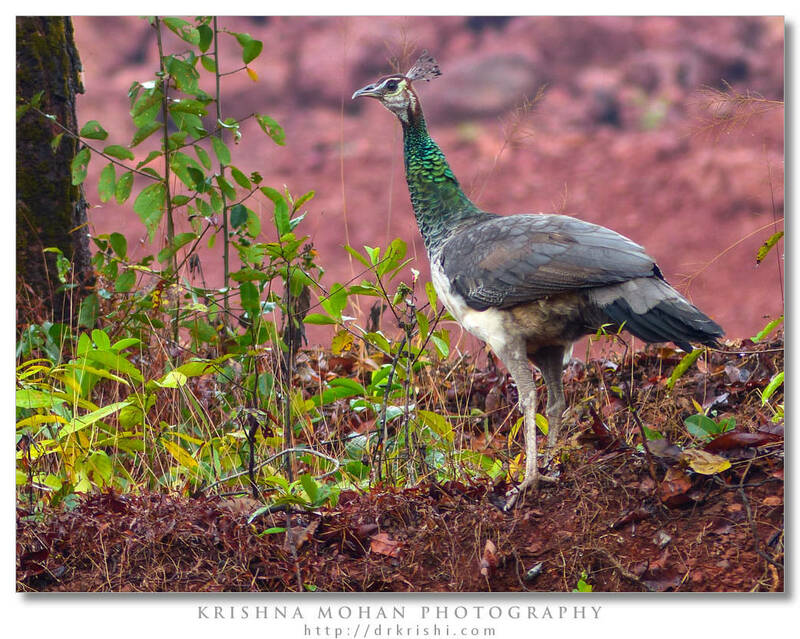 I was going to Mangalore from my home town and spotted these two birds on the way. 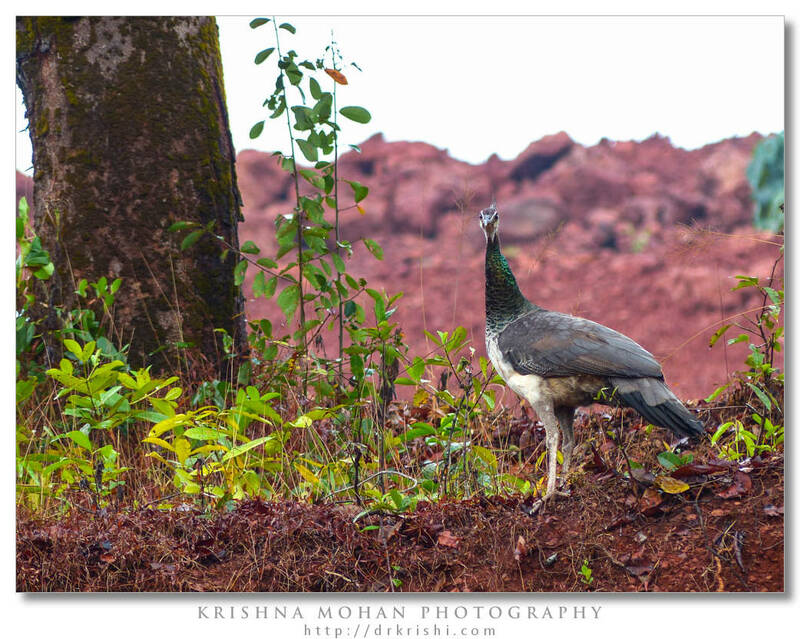 Peahen was foraging in the undergrowth, after the rains had stopped. 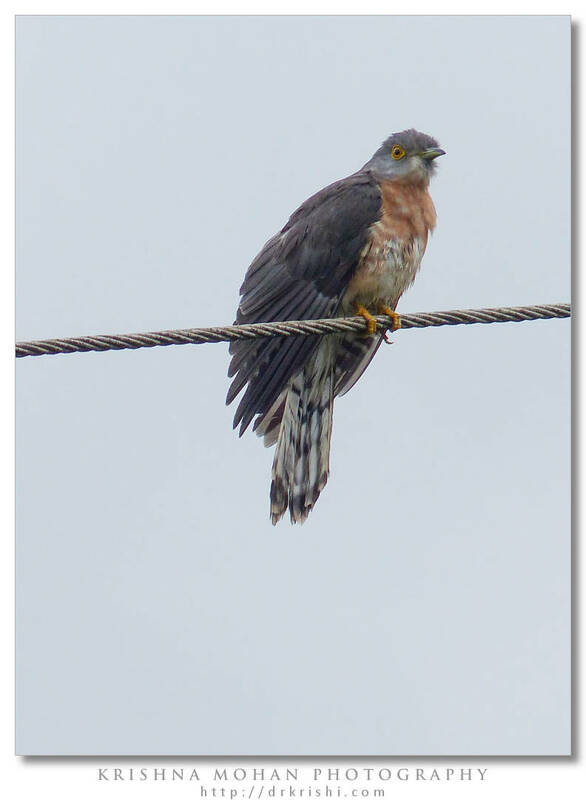 Even though I would have liked to capture the Common Hawk-Cuckoo on a natural perch, I had to be satisfied finding perched on an electric wire. Light was diffuse and cloudy which helped to highlight these birds very well. I used my newly acquired (2nd copy, as I sold first one to another eager friend) bridge camera Panasonic Lumix DMC-FZ200 to capture them and here are the results. I was able to capture these at nearly 600mm (35mm equivalent) focal length which is really 108mm as far as the lens is concerned. There was no cropping in these frames and are as I captured it. I captured in JPEG format even though RAW available in the camera, as I found the JPEG with a little tweak in the camera produced better results. The RAW files show color bleeding in various degrees. This seems to occur using Lightroom as well as Silkypix. Natively the camera has a pretty aggressive noise reduction and sharpening. I am trying out various permutation and combination to find out the optimum one. I have still not found the really good combination yet. So it is still a work in progress. That is the reason why my review of this camera is still not complete. I did not want to dismiss this unique 25-600mm constant f/2.8 lens camera as just another super zoom point and shoot camera. 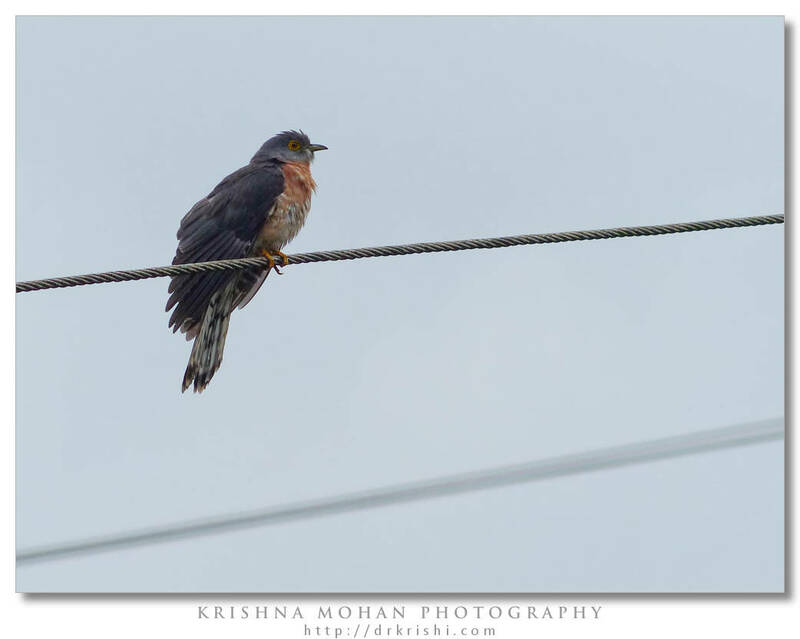 The Common Hawk-Cuckoo (Hierococcyx varius), popularly known as the Brain fever bird, is a medium-sized cuckoo resident in South Asia. It bears a close resemblance to the Shikra, a sparrow hawk, even in its style of flying and landing on a perch. The resemblance to hawks gives this group the generic name of hawk-cuckoo and like many other cuckoos these are brood parasites, laying their eggs in nests of babblers. During their breeding season in summer males produce loud, repetitive three note calls that are well-rendered as brain-fever, the second note being longer and higher pitched. These notes rise to a crescendo before ending abruptly and repeat after a few minutes; the calling may go on through the day, well after dusk and before dawn. 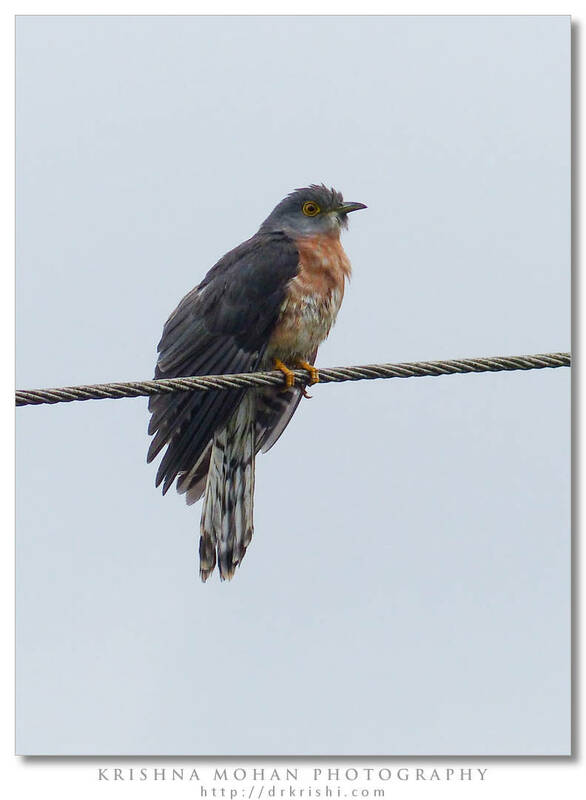 The Common Hawk-Cuckoo is a medium- to large-sized cuckoo, about the size of a pigeon (ca. 34 cm). The plumage is ashy grey above; whitish below, cross-barred with brown. The tail is broadly barred. The sexes are alike. They have a distinctive yellow eye ring. 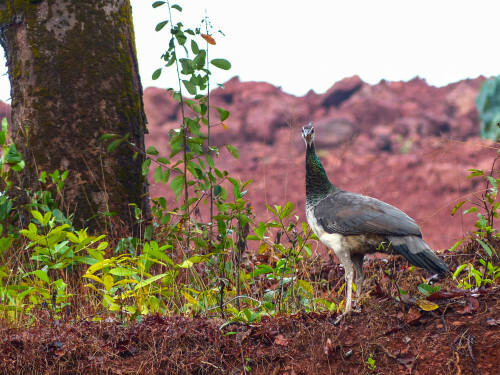 Subadults have the breast streaked, similar to the immature Shikra, and there are large brown chevron marks on the belly. At first glance they can be mistaken for a hawk. When flying they use a flap and glide style that resembles that of sparrowhawks (especially the Shikra) and flying upwards and landing on a perch they shake their tails from side to side. Many small birds and squirrels raise the alarm just as they would in the presence of a hawk. 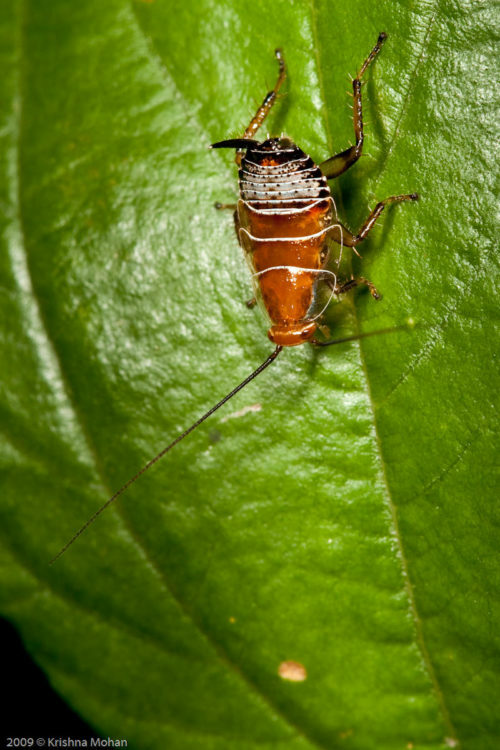 The sexes are alike but males tend to be larger. 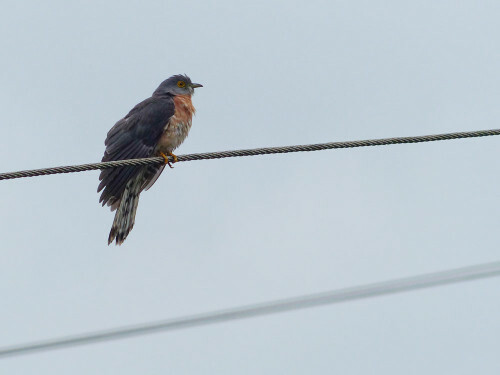 They can be confused with the Large Hawk-Cuckoo, which, however, has dark streaks on the throat and breast. 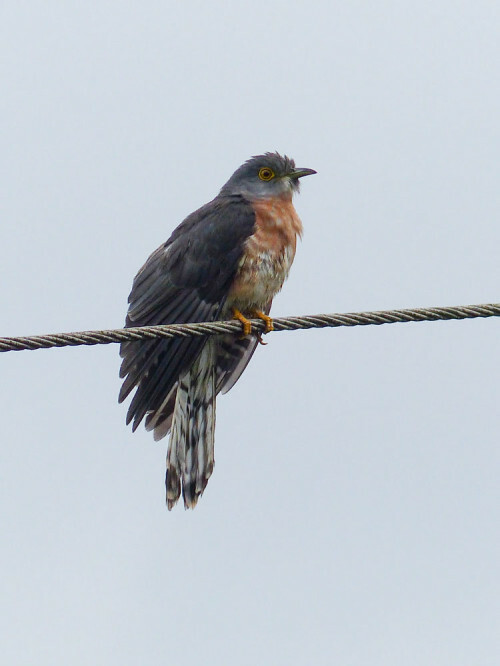 Young birds have a pale chin but young Large Hawk-Cuckoos have a black chin. 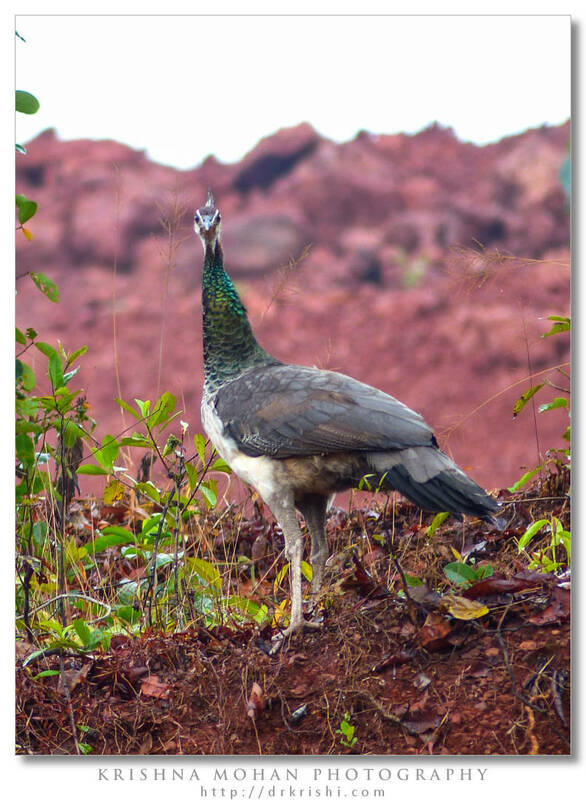 During summer months, before the monsoons, the males are easily detected by their repeated calls but can be difficult to spot. The call is a loud screaming three-note call, repeated 5 or 6 times, rising in crescendo and ending abruptly. It is heard throughout the day and frequently during moonlit nights. 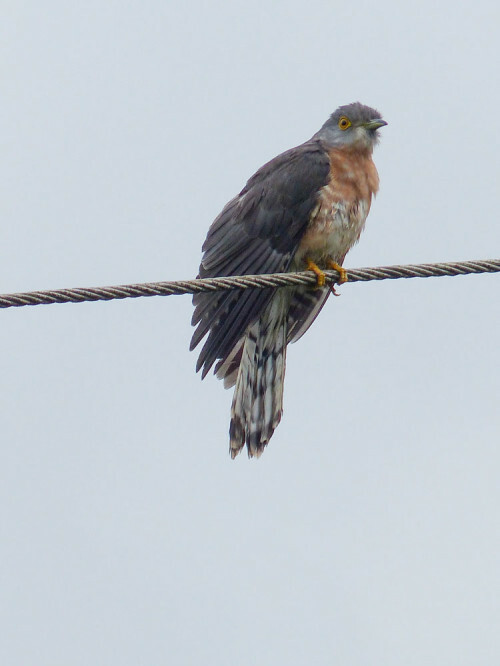 Common Hawk-Cuckoos feed mainly on insects and are specialized feeders that can handle hairy caterpillars. Caterpillar guts often contain toxins and like many cuckoos they remove the guts by pressing the caterpillar and rubbing it on a branch before swallowing it. Like many other cuckoos, this species is a brood parasite, preferring babblers mainly in the genus Turdoides (possibly the only host) and also reportedly on laughing-thrushes of the genus Garrulax. Its breeding season is March to June, coinciding with that of some of the Turdoides babblers. A single egg is laid in each nest, blue, like that of the host. The hatchling usually evicts the eggs of its host and is reared to maturity by foster parents, following them for nearly a month. 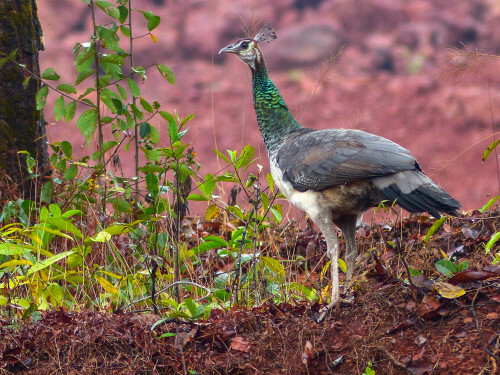 The call of this bird has been popularly transcribed as brain-fever in English. 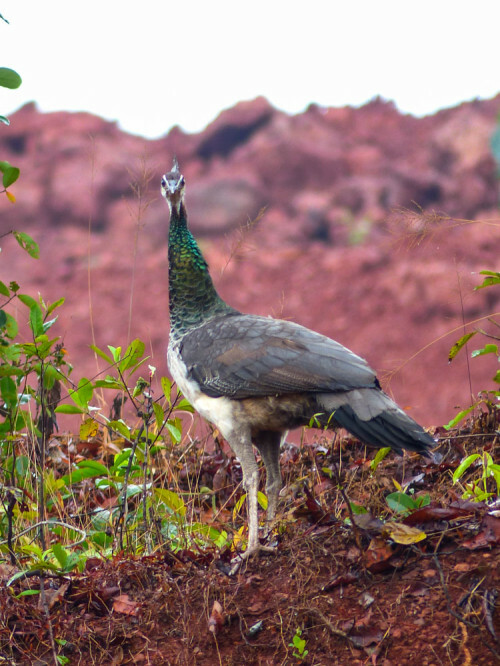 Other interpretations of the bird call include peea kahan in Hindi (“where’s my love”) or chokh gelo (in Bengali, “my eyes are gone”) and paos ala (Marathi, “the rains are coming”). EXIF info - Aperture : ƒ/3.2 | Camera : DMC-FZ200 | Taken : 17 February, 2013 | Flash fired : no | Focal length : 103.7mm | ISO : 125 | Location : 12° 59.3013′ 0″ N 74° 57.4777′ 0″ E | Shutter speed : 1/125s | Images and content Copyright © Krishna Mohan. Please contact me to purchase prints or for image publication license.